Welcome to Building Faith’s Christian Educator’s Toolbox. This page is something of a parking lot for useful stuff that we want to make available. Take a look, and enjoy! Compiled by renowned Christian Educator, Sharon Ely Pearson, this field guide is a trusted companion for anyone who teaches children, youth, or adults in a congregational setting. 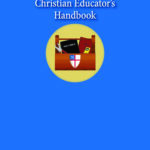 The book includes handy forms, teaching tidbits, plus important information on “all things Episcopal,” sprinkled with humor and advice on how to handle many of the situations that occur in a teaching setting. Thank you to Sharon Ely Pearson. 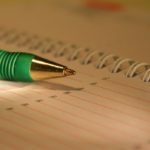 The same calendar is available as a downloadable docx file – Planning Calendar Document. 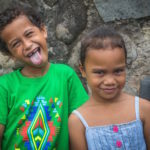 Each year the Center for the Ministry of Teaching publishes a full set of reviews for new VBS programs. We order kits from a wide variety of publishers and denominations, then we tell you what we think! Our reviews discuss the activities, themes, theology, music, and more. 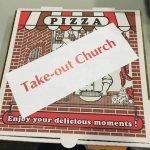 Take out church is an idea for churches to give families a way to practice faith at home, or on the road. We had such a good response to the article, but people wanted to know more about what goes into the box. Here is a list of ideas.